Thank you to Dr. Aaronson for trusting your patient's care with Dr. Harwood. We welcome Dr. Aaronson's patients and congratulate him on his retirement after 35 years of service. Dr. Aaronson has recently retired after 35 years. 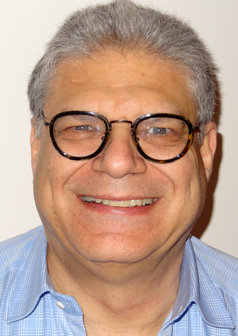 For the past 35 years, Dr. Aaronson found practicing endodontics to be extremely rewarding and satisfying, on both a personal and professional level, to aid in the diagnosis and relief of his patients’ pain. It has been his pleasure to have met some extremely interesting people over the years, people from whom I’ve learned a great deal. These relationships have enriched his life in more ways than he could have imagined. Dr. Aaronson announced his retirement in July of 2018 and has entrusted the care of his patients to Dr. Adam Scot Harwood. We welcome his patients and look forward to continuing the standard of care that Dr. Aaronson has set over the years.